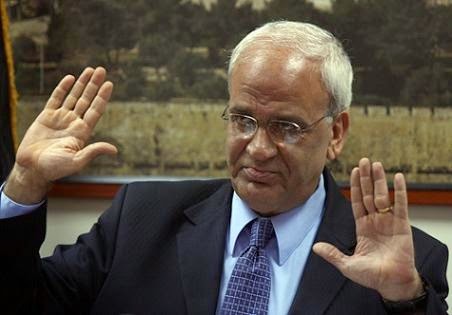 Top PLO negotiator Saeb Erekat has called the ongoing expansion of Israeli settlements in the occupied West Bank “terrorism,” even making comparisons between Israel and the Islamic State militant group in Iraq and Syria. “There is no difference between the terrorism practiced by the group led by Abu Bakr al-Baghdadi and Israel’s terrorism,” he said, referencing the leader of the IS group during a speech at a festival celebrating the Prophet Muhammad’s birthday in Jericho on Monday. Funny. I don’t think there is any difference between Saeb Erekat and Joseph Goebbels. There has been nearly zero physical expansion of Jewish communities in Judea and Samaria in over 25 years. Moreover, when the argument suits him, Saeb Erekat himself admits that the settlements take up only 1.1% of the areas Palestinians want for a state.